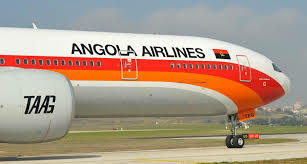 LUANDA – SADDLED with a growing debt burden and struggling to eradicate poverty, Angola still has the luxury of splurging millions in foreign currency under the state carrier’s fleet restructuring and modernisation programme. from his pledges to deal with the mismanagement of public funds since he succeeded Jose Eduardo dos Santos, in power for 38 years until September 2017. The president has subsequently ordered his Ministers of Finance and Transport -Archer Mangueira and Ricardo de Abreu respectively – as well as TAAG executives to start negotiations with the “different funders available” for the purchase of the new aircraft. 777-300 ER aircraft” TAAG acquired in recent years. Lourenço’s first visit to Beijing. second-biggest oil producer (after Nigeria), which is bearing the brunt of the decline in the sector over recent years. with 55 percent of Angola’s population of over 30 million living on less than $1 a day.